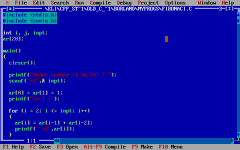 Turbo C++ 3.0 was released in 1991 (shipping on November 20), and came in amidst expectations of the coming release of Turbo C++ for Microsoft Windows. 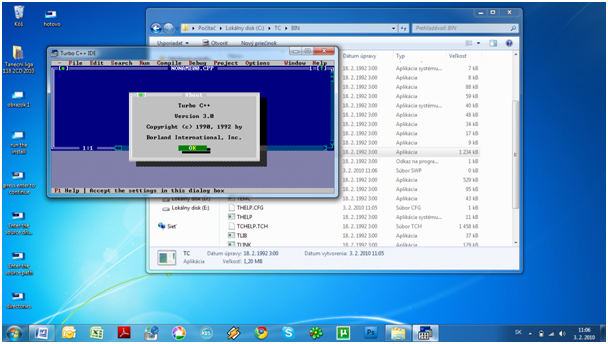 Initially released as an MS-DOS compiler, 3.0 supported C++ templates, Borland's inline assembler, and generation of MS-DOS mode executables for both 8086 real mode and 286 protected mode (as well as the Intel 80186.) 3.0 implemented AT&T C++ 2.1, the most recent at the time. 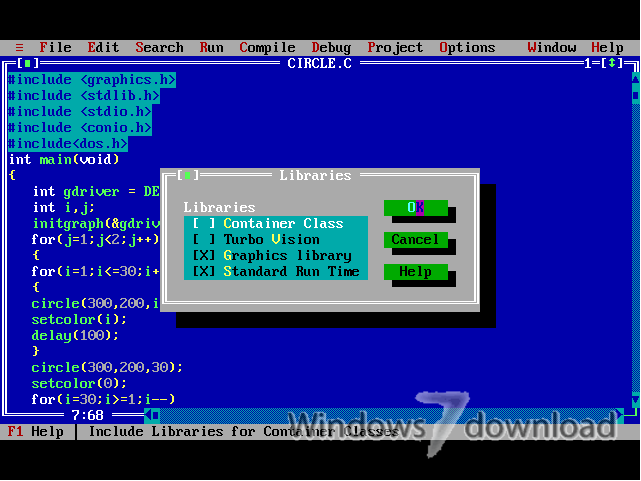 Turbo C++ is a discontinued C++ compiler and integrated development environment and computer language originally from Borland. Most recently it was distributed by Embarcadero Technologies, which acquired all of Borland's compiler tools with the purchase of its CodeGear division in 2008. 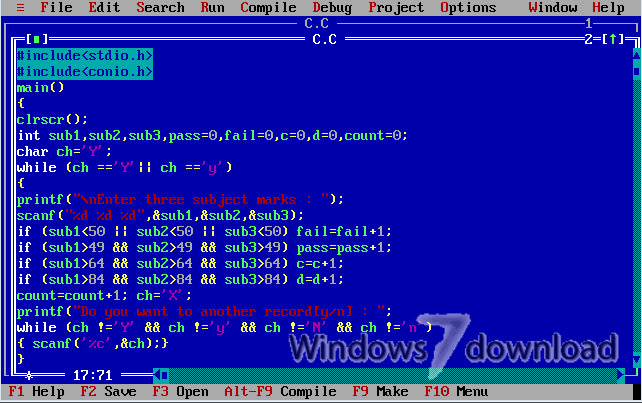 Turbo C++ 3.0 was released in 1991 (shipping on November 20), and came in amidst expectations of the coming release of Turbo C++ for Microsoft Windows. 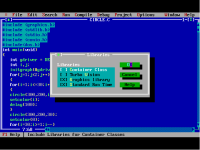 Initially released as an MS-DOS compiler, 3.0 supported C++ templates, Borland's inline assembler, and generation of MS-DOS mode executables for both 8086 real mode and 286 protected mode (as well as the Intel 80186.) 3.0 implemented AT&T C++ 2.1, the most recent at the time. 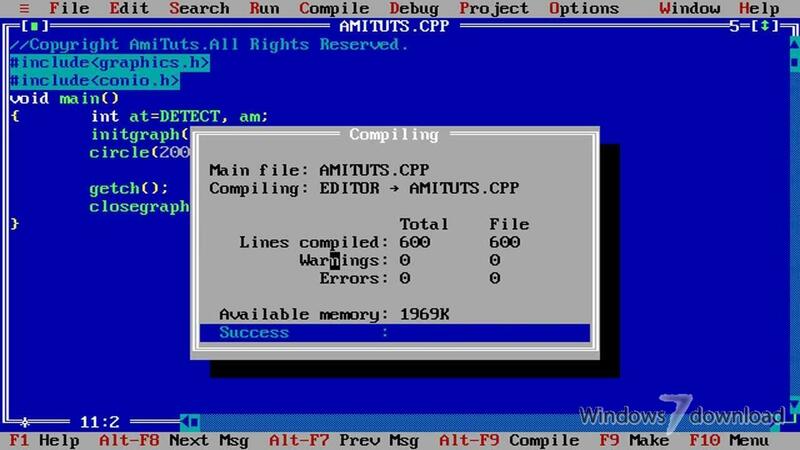 The separate Turbo Assembler product was no longer included, but the inline-assembler could stand in as a reduced functionality version. All Turbo C++ reviews, submitted ratings and written comments become the sole property of Windows 7 download. You acknowledge that you, not windows7download, are responsible for the contents of your submission. However, windows7download reserves the right to remove or refuse to post any submission for any reason. 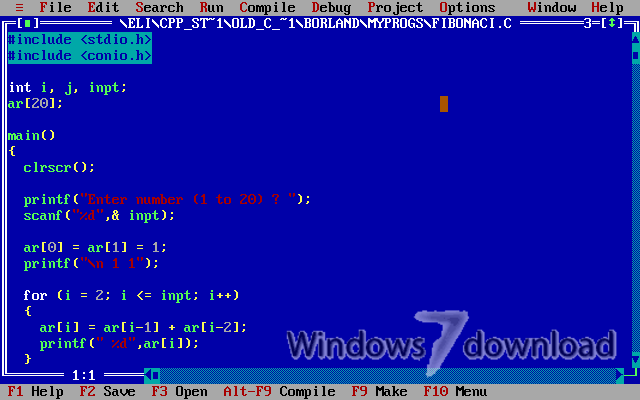 Windows 7 Download periodically updates pricing and software information of Turbo C++ full version from the publisher, but some information may be out-of-date. You should confirm all information. 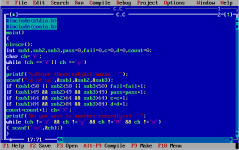 Using warez version, crack, warez passwords, patches, serial numbers, registration codes, key generator, pirate key, keymaker or keygen for Turbo C++ license key is illegal and prevent future development of Turbo C++. Download links are directly from our mirrors or publisher's website, Turbo C++ torrent or shared files from free file sharing and free upload services, including Rapidshare, MegaUpload, YouSendIt, SendSpace, DepositFiles, DivShare, HellShare, HotFile, FileServe or MediaFire, are not used.